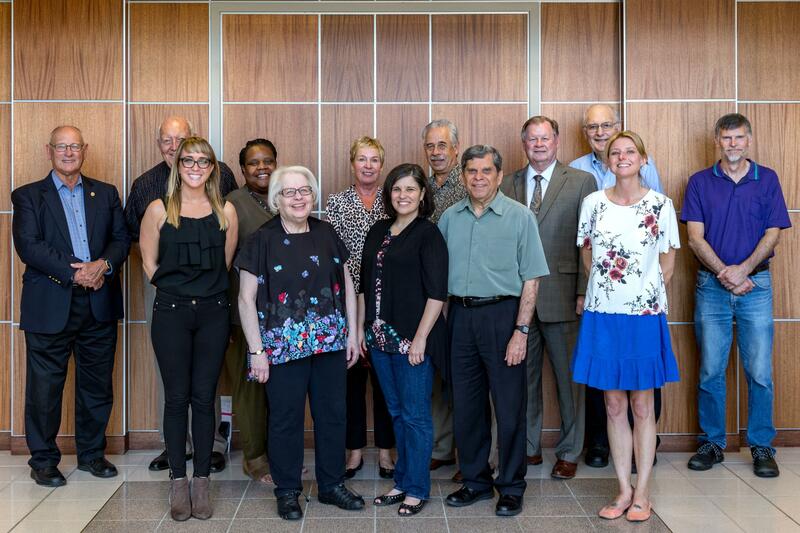 The WILL Community Advisory Committee helps gather information and opinions about community issues and needs; helps heighten community awareness of WILL and its services; advocates for broad-based support of WILL; identifies and encourages new sources of funding for specific projects to improve or expand service to the community; and reviews and advises on legislation designed to improve the quality of public telecommunications. Front (l to r): Beckie Kane, Joan Friedman, Monique Rivera, Betoel Escobar, Katie Glaze. Back (l to r): Lin Warfel, Rich Barnett, Shandra Summerville, Janet Picillo, Jeffrey Perkins, Russ Hamilton, Ken Buel, Rich Furr. Absent: Linda Arends, Dale Durchholz, Lois Gullerud, Dave Henry, Tonya Hill, Warren Lavey, Lori West.